I’m a lazy lazy person. I like to maximise every moment I can spare in bed. But I also can’t get out of the house without something on my face. We’ll get to foundation and bases, but the eyes… I find that my caramel brown eyes get a real kick of light when pairing them with some brown eyeshadows and black mascara (yes, I know it’s supposed to happen with purples and blues but… that’s life through my eyes). Yet, if I’m late, I can’t do all that blending and lining and brush changing that a few classic powder eyeshadows require… Sure, I could do a simple wash of colour with them too, but it seems that when I get to them, I always try to add something extra. So that’s how I fell in love with cream eyeshadows. But that’s minimising these little darlings’ capabilities. They’re a fool-proof dream to apply, but they can also be super long-lasting – many are water resistant –, they’re a terrific base for eyeshadows (to make the colour pop or just add more long-lasting power to the look), you can use them as eyeliner, AND they come in a multitude of colours (although more matte permanent collections in the drugstores should be enforced by law). With cream eyeshadows, Bob’s your uncle. That’s all I have to say. Dab a bit of with your finger on the eyelid and blend with a clean finger on the outer edges. And you’re out the door. The Maybelline Colour Tattoos have an amazing array of colours, great creamy and (once set) long lasting texture, and are sooo affordable. On and On Bronze is a cult favourite among bloggers, YouTubers and beauty fans all over. In its own right. And it is sooo similar to MUFE Aqua Cream in 15… Just sayin’. Bad, bad Maybelline, didn’t bring the Leather collection to Portugal. Agh. MUFE Aqua Cream are brilliant because they’re the most long lasting of them all. They’re really waterproof. You can wear these babies in the shower. And the density of the pigment is delightful. Alas, more pricey, but still, great investment, since these cream eyeshadows will last you a long long time without drying out in the pot. M.A.C Paint Pots are my go-to favourites for mattes. Just because they make a very good array of neutrals and I love my matte neutrals. Some pigments dry out sooner than others. You can go really thin on the layering. If you find it hardened a little, just warm up your fingers to make the product go back to its old self. The medium-darker colours take longer to set, which is great for blending in with other creams, or to stick powder eyeshadow on top. 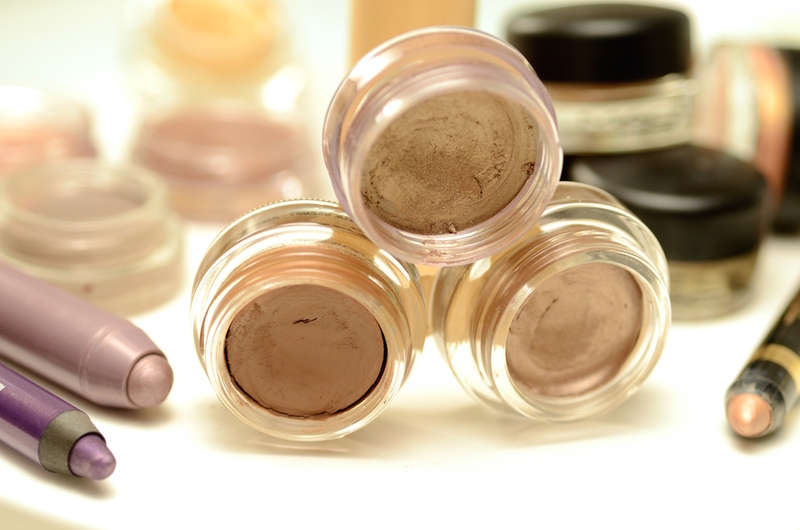 Soft Ochre is the perfect base for any colour that you want to make pop. Quite Natural and Groundwork are my absolute staples. And Rubinesque is a rose-gold classic. Clinique has some amazing Chubby Sticks Shadow Tint for eyes. They give you a softer colouring, more sheer, less shimmery, and they have a great amount of colours to choose from. Perfect for every day. L´Oréal Colour Riche Eye Colour Pencils are pretty affordable, and they have a decent offer on colours – all more on the neutral side, and with some shimmer. Pretty pleased with these ones too. You can find them on your local drugstore and Sephora. And… That’s all I have to say about that.